If you are in the proximity of Châteaux Ausone, Bélair-Monange and Pavie you have all the prerequisites needed to make special wine. Château La Gaffelière has precisely that location, sharing a limestone, chalk and sand hill with Château Ausone. 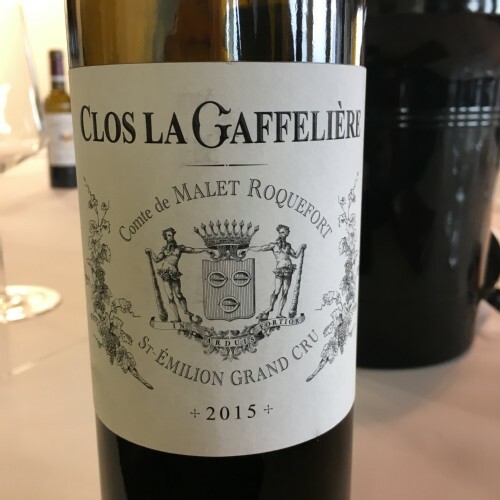 It is one of the oldest family-owned châteaux, run by the Malet-Roquefort family since 1705. There are 22 hectares of vines, planted to 80% Merlot and 20% Cabernet Franc, with an average age of 30 years. 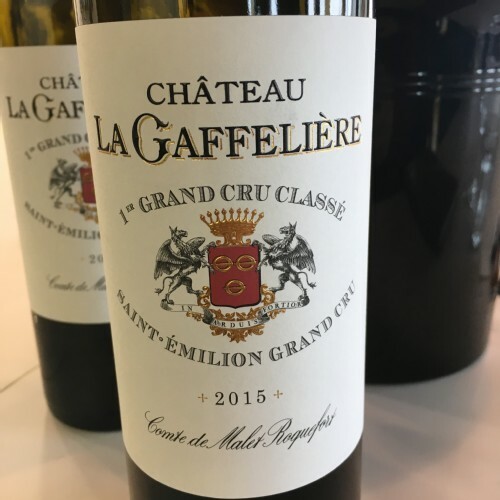 La Gaffelière produces around 80,000 bottles per vintage, which are matured in around 50% new oak. 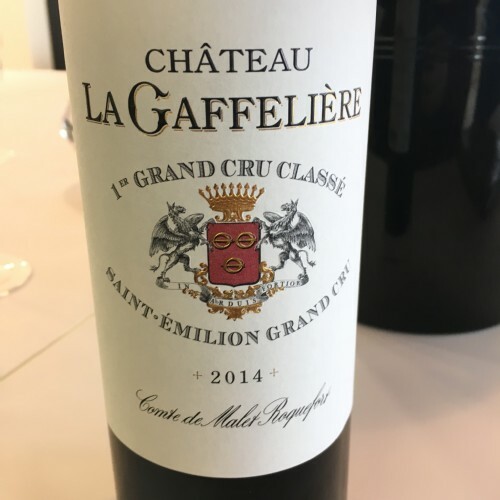 There are also 100,000 bottles a year of a second wine, Clos La Gaffelière. This is light, fragrant and made for early consumption. These wines are mostly new to me. I have sampled them in the past – but clearly not enough, because I struggle to recall anything apart from a bottle of 1990 which I had few years back. To me, these wines are made with a confidence and passion that is clearly visible in the glass, as they are fragrant with an intense graphite core, pure fruit, and oak which is discreet and complementary. Since 2004 Stéphane Derenoncourt is their consultant, and in 2013 a new vat room was installed which enlarged their operation and improved the handling of the wines during harvest. 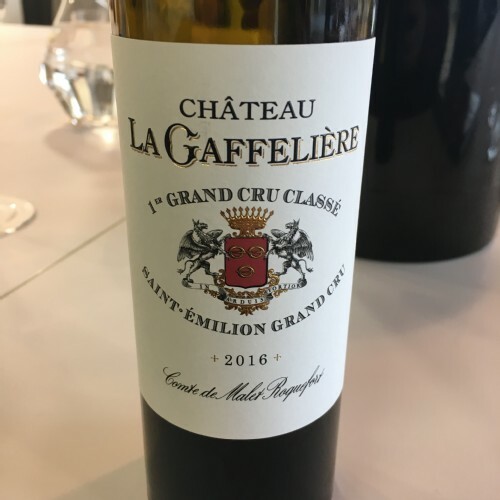 Looking at the price/quality ration today, 12/75 cl of Château La Gaffelière 2015 costs around £550-600 IB, which I feel is a great deal – and you will have something special to drink for years to come. 90% Merlot, 10% Cabernet Franc. Red cherry, chocolate, ripe raspberries, black plums with gentle floral notes and lovely mineral depth. The palate is juicy with smooth, round tannins and decent length. 85% Merlot, 15% Cabernet Franc. Initially intense aroma of bonfire and bell pepper, turning into cherry and red plums with intense mineral graphite perfume. The palate is dry, tannins are smooth and there is excellent structural freshness. 70% Merlot, 30% Cabernet Franc. Intensely flavoured fruit with ripe dark cherry, raspberries, violets and a note of damp earth. The palate, as you would expect, has pure, ripe fruit framed by ripe tannins and a lovely juicy aftertaste. 70% Merlot, 30% Cabernet Franc - to be bottled in few month’s time. Refined and detailed from the beginning, with pure ripe berry fruit mixed with red flowers and notes of charcoal and graphite. It is more mineral and layered compared with the 2014 and 2015. The tannins have a lovely caressing freshness and there is more acidity than 14 and 15. Excellent effort.